Brahmanand S Singh, a writer and filmmaker from Mumbai explores Pancham's personal and musical journey in this captivating and one of its kind documentary film on R D Burman. The documentary features interviews with Pancham's friends, associates, his contemporary artists, current musicians, and fans. It is easily one of the most remarkable works on any Hindi film music composer. Even if you are not a fan, the film will keep you engrossed despite lacking any singular narrative thread. 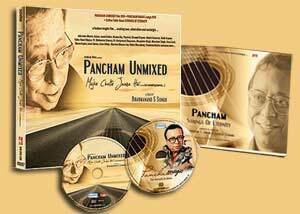 If you are a fan though, you will find it as enjoyable, moving, and nostagia-evoking as some of Pancham's music. The Pancham fan community will always be thankful to Brahmanand for this effort. The interviewees in the film include Amit Kumar, Asha Bhosle, Anand Bhosle, Amin Sayani, Annette Pinto, Badal Bhattacharya, Mili Bhattacharya, Bhanu Gupta, Bhupinder Singh, Bubbles Behl, Chaitanya Padukone, Doel Gupta, Emil Isaac, Gautam Rajadhyaksha, Goldie Behl, Gulshan Bawra, Anju Bawra, Gulzar, Pandit Hariprasad Chaurasia, Homi Mullan, Indrani Sen, Indru Atma, Ismail Darbar, Javed Akhtar, Kavita Krishnamurthy, Kesri Lord, Lesle Lewis, Louiz Banks, Manna Dey, Manohari Singh, Nitin Shankar, Pyarelal, Ramesh Iyer, Randhir Kapoor, Ranjit Gazmer, Pandit Ronu Majumdar, Rupankar, Sachin Bhowmick, Shailendra Singh, Shakti Samanta, Shammi Kapoor, Shankar-Ehsaan-Loy, Shantanu Moitra, Pandit Shivkumar Sharma, Shrishti Arya, Tabun Sutradhar, Taufiq Qureshi, Pandit Ulhas Bapat, Usha Uthup,Vidhu Vinod Chopra, and Vishal Bharadwaj. Shemaroo has released a 2-Disc Collector's Edition DVD set that includes a coffee-table book Strings of Eternity. For more details on the Collector's Edition set, visit Shemaroo's special site for the film. The Pancham Bible, as one may call it, is one of the most complete tributes that anyone ever paid to Pancham. 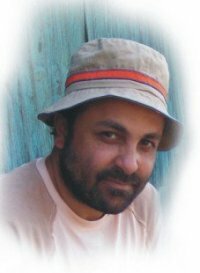 And it is paid by Vishwas Nerurkar, the man behind the book. The book presents Pancham's work in as exhaustive a form as it could have been. It covers each song that Pancham is known to have composed, encompassing all languages (Hindi, Bengali, Oriya, Marathi, Tamil, Telugu), all mediums (TV, cinema, documentary, non-film, puja songs) and even unreleased works. It's difficult to even imagine the effort that Vishwas would have gone through in compiling this book. He was assisted by Bishwanath Chatterjee in this effort. And it goes without saying how much a Pancham fan feels thankful to Rashesh Shah (son of Bharat Shah), who presented and published this book. Apart from the discography information, the book contains some excellent articles by Gautam Rajadhyaksha, Gulshan Bawra, A. Purushottam and Vishwas himself, paying tribute to RD. Interspersed with some memorable photographs, the book is an excellent piece of work in terms of printing, paper quality and design as well. For an RD fan, the book is as indispensable a possession as any of the maestro's scores. Here's some more information about the book..